I recently bought a cheap ST-Link v2 knockoff. Unfortunately, these things don't have an SWO pin so you can't use trace. ST-Link firmware uses pin 31 for SWO, so all you have to do is scrape off some solder mask and solder a bodge-wire to the connector. If you need more details I documented everything on github. P.S. : I wouldn't recommend buying these dongles. A Nucleo board (10$) will get you a much more useful programmer with UART on board. I haven't seen Nucleo boards on ebay for a reasonable price. There are plenty on digikey though. 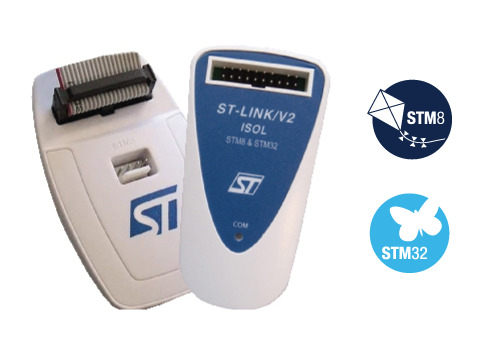 I suggest getting one that has ST-Link v2-1 (like this one). There should be RX/TX pins near SWD connector. But S&H would far exceed the *bay prices. I am in Dk ,and those prices excl VAT & Postage. here is the latest firmware update. You mean board ID resistors? That's a good idea, unfortunately both v2 and v2-1 schematics have the same ID resistors. Out of curiosity I just tried soldering unpopulated 10k resistor on my nucleo with st-link v2-1 and it seems to have no effect. BUT if you buy 10 then it's only going to cost you 60 euro(460 Danish kroner) when you get it..
i'v not used it yet, only got it a couple of days ago. that said, i only use the drag&drop firmware flasher function anyway at the moment. i hope i dont have to reflash 2.27.15. How are you finding the stability of 2.28.16 ? I had no issues at all. I don't think you can 'brick' the programmer by updating firmware. I also tried downgrading firmware about a week ago (entirely out of curiosity) and it worked just fine. is it a clone of v2, or v2-1?? and how much did it cost - compared to a nucleo-64 board? It's a v2 clone, about 3$ shipped. I get error "Identifying ST-LINK variant...ERROR: Unsupported ST-LINK hardware variant" if I try to program. Sorry, I don't have any instructions. But I found a strange sequence of absolutely meaningless random bytes on the internet and I have no idea what it means. Perhaps you might figure it out..